The LTE Capable ZH&K Odyssey Evo With Fingerprint Sensor Is Priced Cheaper At 5999 Pesos! 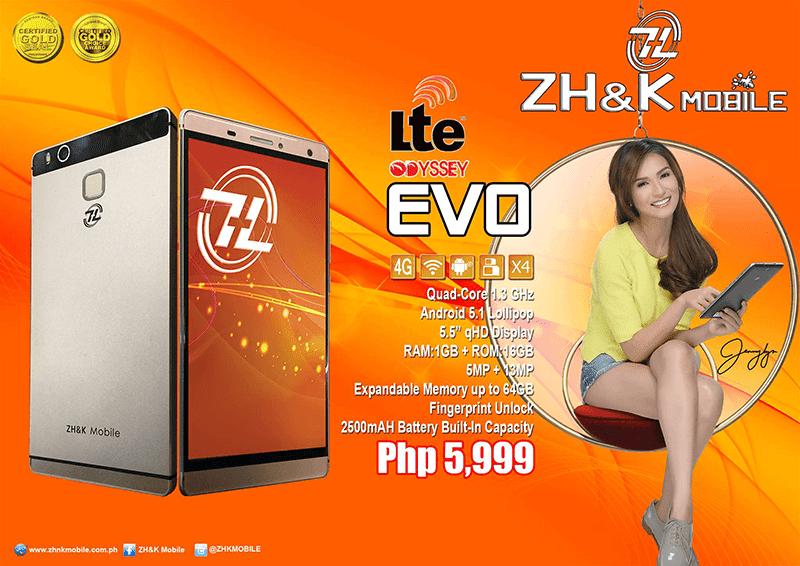 Home / mobile / news / zh&k / The LTE Capable ZH&K Odyssey Evo With Fingerprint Sensor Is Priced Cheaper At 5999 Pesos! Finally! After quite a while, ZH&K was able to put a price tag on the Odyssey Evo, their very first phone with LTE connectivity and fingerprint sensor at the back. The metal clad ZH&K Odyssey Evo packs a 5.5 inch HD IPS screen that should be good enough for your pleasurable viewing experience. We assumed that this phone runs on an MT6735 SoC paired with Mali T720 GPU as they stated that its 1.3 GHz quad core processor is a 64 Bit one. It also features 1 GB of RAM, 16 GB of expandable ROM, 13 MP camera w/ dual LED flash and fingerprint controls, 5 MP selfie camera and a quite small 2,500 mAh battery capacity. In contrary to the first rumored price of 6,999, the Odyssey Evo gets a more affordable price tag of just 5,999 Pesos.